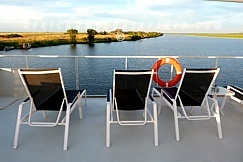 Zambezi Queen provides a houseboat experience on the great expanse of the Chobe River offering an adventure unlike any other awaits. Leave the land-based crowds behind and surround yourself with the thrill of the wild from your own private suite aboard a luxury 42-metre floating boutique hotel. 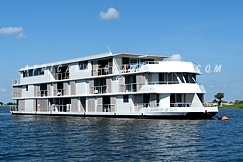 The Zambezi Queen operates in 5-star opulence – a singular, sophisticated experience that has not lost the essence of all that is uniquely African. 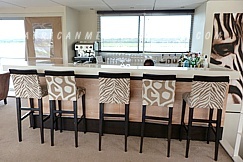 The lower and upper decks of the boat incorporate 10 suites and 4 master suites, all of which have their own private balconies and are furnished with either a double or two single beds. Each exclusive space has been designed with the African summer in mind and makes use of fans, shutters, and large sliding glass doors for maximum ventilation. 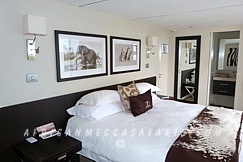 Fall asleep while the sounds of Africa drift through your open doors at night. 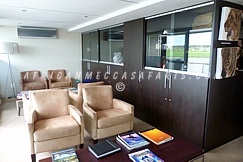 A large reading room provides a restful, air-conditioned environment in which to stretch out with a book or enjoy a game of chess or cards. Visit the curio shop and browse our selection of books and magazines, or purchase a lasting memory of an unforgettable trip. No cruise would be complete without the Zambezi Queen’s outstanding cuisine. >From the lunch buffet to the seated evening meal, local flavors combine with international tastes to add a few mouth-watering memories to your safari experience. 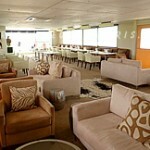 At Zambezi Queen, you will enjoy unobstructed views of water and floodplain from the upper deck’s lounge and bar areas. 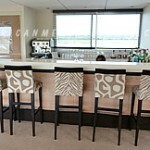 Guests can take a break from the midday sun or catch the cool evening breezes in this open air environment. 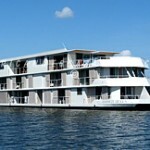 The Zambezi Queen operates on the Chobe River, situated between Namibia and Botswana. 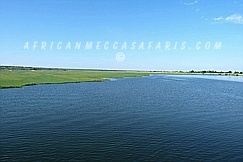 The boat is based on the banks of the Caprivi Strip and is only a few kilometers from the place where uniquely, four countries meet, namely Zimbabwe, Zambia, Botswana and Namibia. 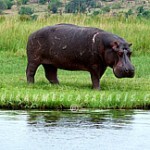 The boat cruises on the banks of the magnificent Chobe National Park with its teeming wildlife and approximately 120 000 elephants and over 400 species of birds. 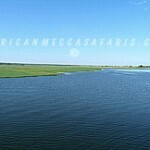 The boat is also only 70km by road from one of the great wonders of the world, namely the Victoria Falls. 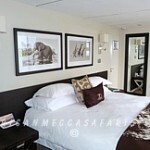 The Zambezi Queen is conveniently located about 80km from both Victoria Falls, Zimbabwe and Livingstone Zambia and 3km from Kasane International Airport all of which have international airports and operate regular scheduled flights out of Johannesburg, with Kasane been ideally suited to charter flights. Transfers from airport to the boat are by road and takes approximately 90 minutes. Road transfer guests will be collected from immigration situated on the banks of the river at Kasane in Botswana for the 10 minute boat transfer to our docking station. Access to the Zambezi Queen on the Namibian side is made possible by a 30 minute charter flight from Victoria Falls to Impillia Island followed by a 10 minute boat ride aboard one of our tender boats. Explore 22 kilometers of remote river under wide, open skies in smaller luxury boats. The Chobe River supports an array of African game, plant and bird life, including one of the greatest concentrations of elephant on the continent. 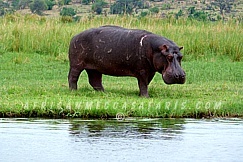 From the boat you are likely to observe these mighty giants as well as hippos and crocodiles, and a variety of other wildlife gathering at the water to drink. The half day land-based game drive provides the perfect opportunity to spot predators. 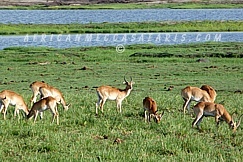 View the wildlife from the comfort of a custom made, private tender boat. With only 16 people per boat and your own guide, full rain protection, on-board refrigeration and a toilet facility, this is luxuriant game viewing at its best. 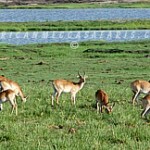 Land-based half day 4×4 game viewing Botswana Safaris in Chobe National Park. 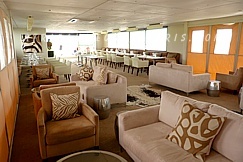 A helicopter situated a 10 min drive from the base camp allows guests aerial game viewing, or to use it as a transfer shuttle to Victoria Falls or the Okavanga Delta. The is at an additional cost. 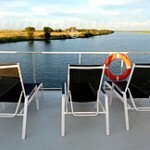 Houseboat experience offering panoramic views overlooking Chobe River and Caprivi Floodplain. The top deck is air-conditioned and consists of the dining room, the lounge, a bar and a sunbathing area complete with plunge pool. 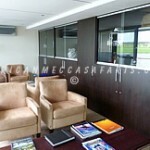 A large reading room with a library and curio shop and magazines, or purchase a lasting memory of an unforgettable trip. The minimum age for children is 7 years old accompanied by adult over the age of 21 years.